Taking a moment to stretch and reflect! 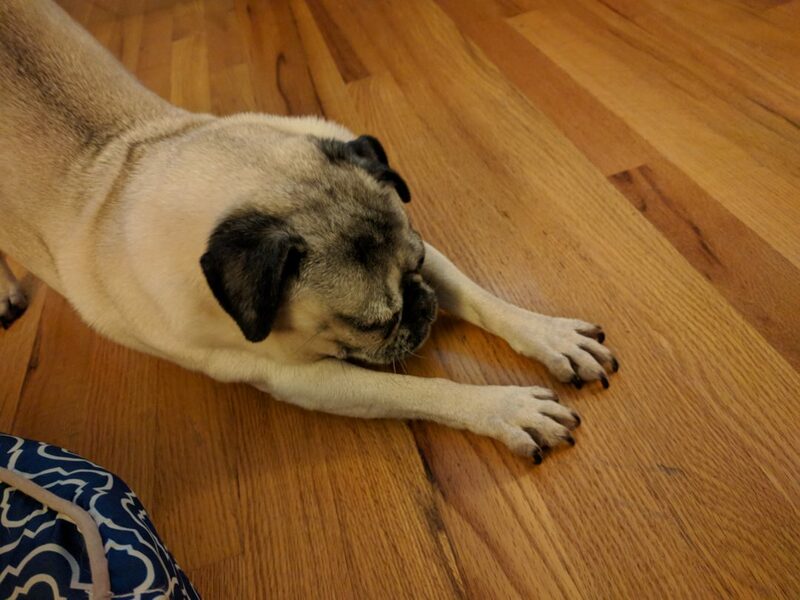 Nickie the pug is starting her day right by enjoying a quiet moment of stretching and reflection before jumping into her busy schedule for the day. She has definitely perfected her downward facing dog yoga pose!